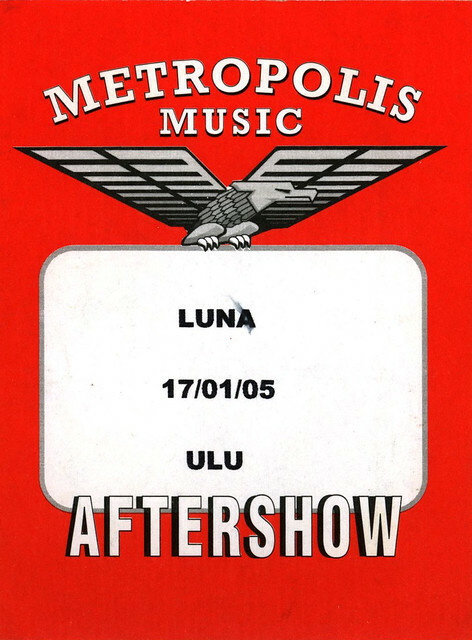 The show was pretty well attended and the crowd was enthusiastic - I know I say this every time but I'm always astounded to find that there are people over here who love Luna as much as I do. Support act Scanners made pretty much the sort of racket that kids of their age should make (god, how old did that line make me seem?) and as such made for a decent if noisy start to the evening. With the patti-smith-a-like (or pj-harvey-a-like or kim-deal-a-like) singer, they thrashed guitars and screamed and even if one of the songs started like the chanting at the beginning of Spinal Tap's "Break Like The Wind" - "we are the children who grew too fast..." - I can forgive them that. Luna opened with Malibu Love Nest and that is pretty much where any objectivity has to end. 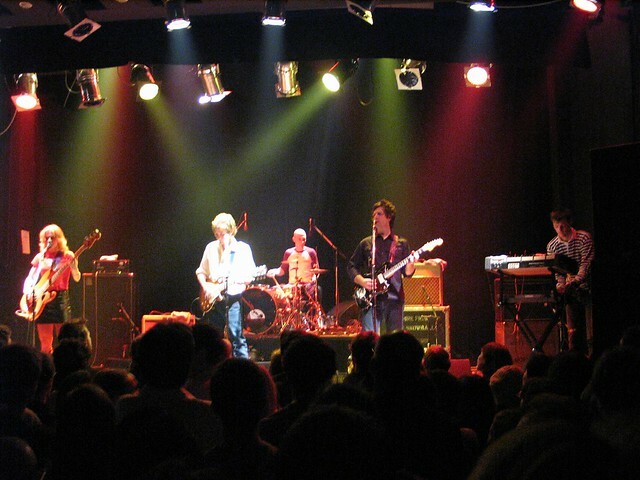 The band seemed comfortable and fairly relaxed as they settled into a their stride, enjoying the crowds enthusiasm and engaging in a bit of between songs banter. High points were so many but tonight I seemed to enjoy those extended grooves they occasionally go into - noticeably during Black Postcards and, obviously, 23 Minutes. Sonic Boom joined them on-stage for the latter half of the show and added interesting and enticing electronic gurgles and fizzes to the sound - particularly obvious during Fuzzy Wuzzy which was a very enjoyable inclusion as the part of the first encore. The band were urged back for a second encore and treated us to Indian Summer - which was like a full circle for me because it was the most memorable of the songs I remember them doing at the Underworld back in 1992, it seemed the perfect way to end. The crowd pushed for a third encore but sadly lost out to the house lights and the band reappeared on stage to chat and sign autographs for as long as required. Feeling a little self-conscious Hazel and myself flashed our backstage passes at the beefy looking doorman and Britta ushered us downstairs into the Luna dressing room - a squash court - I had a beer, embarrassed myself hugely by behaving like such a "fan" and by talking inarticulate nonsense into a camera...I went home to relieve the babysitter and to ponder on the fact that I'll never see Luna again.